Introduction: Shakespeare indulges himself considerably with his own relatively recent history – Richards II and III, Henrys IV, V and VI, for example. Subsequently he even presents his own late Queen, Elizabeth I, as a baby in the play he co-wrote around 1613 with John Fletcher, Henry VIII. In Julius Caesar (the play which is believed to come straight after Henry V), Antony and Cleopatra and Coriolanus, there appear his dramatic yet often fanciful takes on dozens of real people from Plutarch’s records of Roman history. He also happily adapts mythological or semi-historical characters, for example: Theseus and Hippolyta in A Midsummer Night’s Dream, numerous gods and goddesses in The Tempest or Cymbeline, or some very human and uncharacteristically fallible versions of Greek and Trojan heroes in Troilus and Cressida. Research into Shakespeare’s sources will prove interesting and productive. Try, for example, Holinshed (e.g. Macbeth as well as Henry V), More (Richard III), Saxo (Hamlet), Plutarch (Julius Caesar), Plautus (The Comedy of Errors), Virgil (The Tempest) or Boccaccio (Cymbeline); listed are only a few of the sources and plays influenced by these writers. Brief exploration will provide much more information about his characters – real or mythological – enriching knowledge and enjoyment of the text. If Shakespeare could make such fascinating drama out of past historical or mythological characters, what might he do with the life of a ruler, about whom plenty had been written and verbally passed down since his death in 1422? 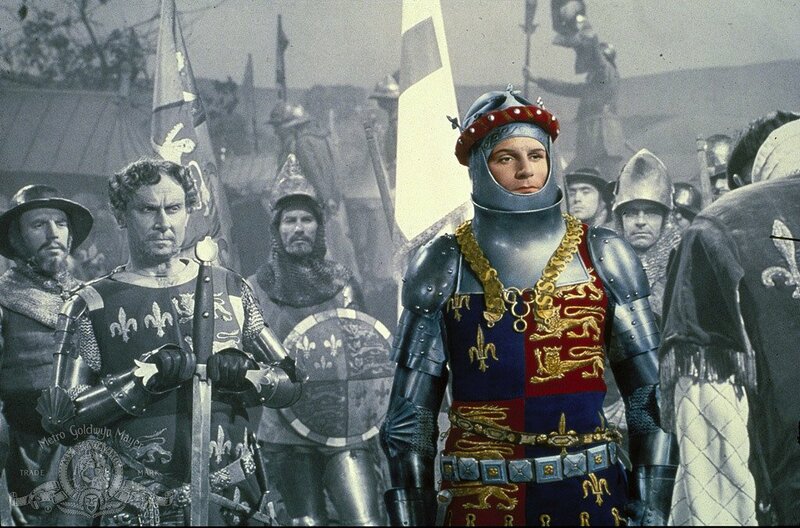 Henry V had died only about 175 years before the play was written and was –according to contemporary sources but not precisely in these words – ‘quite a legend’!